Featured above is the Midnight Soul Rebel noise isolating on-ear headphones that we got to play with. With many sound systems and speakers on the market, it is often very difficult to decide on which best fits your sound requirements. For the sound snob clarity sound, the best volume range and a suitable price are usually the primary requirements, but these are hardly ever available all in one product. So leave it to the son of music legend Bob Marley to bring all these elements together, and include a load more, into a audio range under the banner “House of Marley”. So, in our opinion, we have learned that it takes a musical genius to really understand just exactly how audio equipment needs to be made in order to generate the best possible sound – after all, musicians have a far greater understanding of sound and its relationship with music that those of us that simply listen to it. Judging my the sound experience of these beauties, the Marley family certainly knows how we should appreciate sound. While Reggae music is not everyone’s preferred music genre, do not let the manufacturers association with Reggae put you off trying out these headphones – the sound quality is simply phenomenal. When they state that “House of Marley on-ear headphones are designed for high-quality comfort and best-in-class sound” they weren’t trying to pull one over on you – they meant it. Also, they are very serious about being environmentally friendly – ensuring that all materials used are earth-friendly and fall within the renewable category. Opening the packaging, it is clear that they have taken great pains in living up to this promise, using fold designs to in the product mounting packaging material to eliminate the need for tapes and glues. Even the materials used to wrap around the cord is made out of degradable materials. Earth-friendly materials and innovative product packaging. But down to the sound. It will blow you away. The on-head speakers block out, or isolate, any environmental noise so that you are immersed into the recording, exposing notes, music layers and sounds from the recording studio that lesser quality speakers are unable to deliver. These speakers manage the often tumultuous relationship between volume and clarity exceptionally well, maintaining crisp clarity at near maximum volume levels – but then again, the volume range of these headphones are so high that I doubt anyone with normal hearing would consider playing any type of music at full blast. Testing the headphones between such ranges as a strong studio recorded vocal performance, a highly synthesizes musical arrangement, and a live rock performance recording, the speaker delivers exactly what you want from each. Vocal recordings are crisp and clear, the base in “house music” tracks are soul shaking, and the complexities of the mixture of vocals, instruments and environmental sound in live rock recordings are managed wonderfully. These headphones have become a firm favourite of mine, and, yes, have even guided me to question the quality standing of Bose and B&W (of which I own products from both). Now, to be realistic, I very much doubt that any product can measure up to the performance and quality of the B&W Zeppelin or Panorama 2, however within the headphone class, it does give the B&W P3 a run for its money. These stylish headphones are well worth a Christmas list consideration, and retailing at around R549 on Kalahari, they are ideal for the budget conscious sound hound looking for a quality audio experience. WIN! 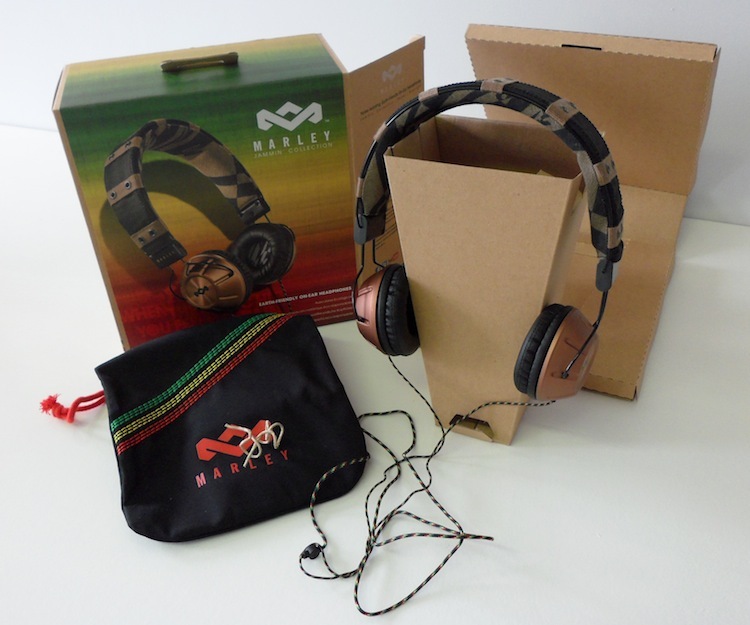 A pair of House of Marley Soul Rebel Dubwise Headphones in time for some great Summer tunes! Exploring the Slow Lounge…I just wish the lounge was in the plane, not just on the ground.